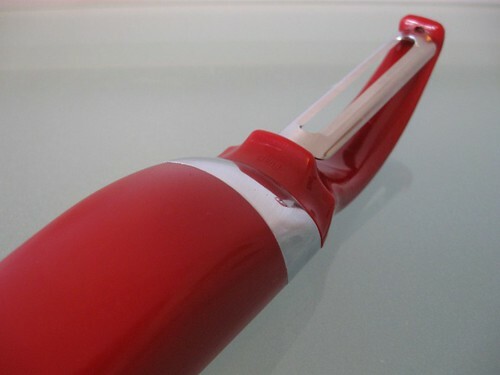 How many hours do you think were put into designing that red potato peeler above? What about our toothbrushes, or our shiny new phones? Now here's food for thought: how much time and effort do we put into designing our own lives? Living deliberately, in choice, with intention; reflecting; letting go... these are all part of my personal life design process. Learning when to add features, adjust what's there, or remove the superfluous; knowing when to push, and when to let things unfold in their natural state. In the end, whether we're talking about life or an ergonomic shovel, it's about creating a quality user experience with the product. Are there areas in your life that are asking for deliberate design right now? * This post was brought to you by Objectified, a documentary in which various designers share insights into the design of objects we use every day (see trailer below), plus my love of taking concepts and transposing them into a different context.